Moorestown resident Kelsie Donovan is competing in the 2018 World Irish Dancing Championship. Attending the 2015 World Irish Dancing Championship was the catalyst for Kelsie Donovan to push herself a little bit harder. She said the competition made her hungry to elevate her dancing. Her dancing was nearly derailed the next year when a skiing accident left her with her a torn ACL. 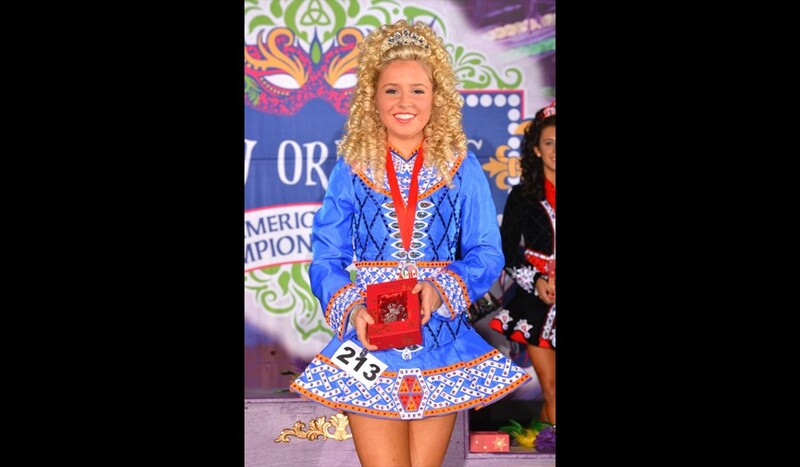 Today, Donovan, a 2017 graduate of Moorestown High School, ranks 19th in all of North America in Irish Dancing and will return to the 2018 World Irish Dancing Championship, which is taking place March 24 to April 1 in Glasgow, Scotland. Donovan started dancing at the age of 6 after her mother took her to a “Riverdance” show. She said the performance inspired her to give Irish Dancing a try, and her mother signed her up for classes at a studio in Boston, where they were living at the time. The family moved to Moorestown approximately five years ago, and Donovan began dancing with the Broesler School of Irish Dance in Westwood with whom she qualified for worlds in 2015. When she arrived in Montreal for the competition, she didn’t know what to expect. She said all she knew was the competition would be intense and everyone there would be talented, but she was taken back by the level of talent. At the World Irish Dancing Championship, approximately 150 girls perform in two rounds of dancing: a hard shoe and a soft shoe round. She said dancers are judged on a variety of technical aspects, such as turning out their feet and their posture. The top 50 girls are called back for individual performances. She said when she didn’t receive that call back, it motivated her to come back and work even harder. Donovan qualified for worlds again the following year, but before she could attend, she tore her ACL while skiing that March. Instead of attending worlds that year, Donovan underwent major knee surgery, followed by nine months of physical therapy. Her doctors informed her she would dance again, but Donovan admits there were moments where she had her doubts. Donovan was unable to walk for two to three weeks. Six months into rehab, Donovan returned to dance, but she said it took nearly a full year to feel back to her full dancing capabilities. Donovan is a freshman at Tulane University where she is studying architecture. She practices at a studio on campus a few times a week and occasionally dances with a local studio. “It’s turned into a stress reliever when I’m at college, and you get a good work out in at the same time,” Donovan said. Donovan attributes much of her success to date to her supporters, including her mother, Theresa, who drove her to practices for many years, and her teacher, Kevin Broesler, who guided her along the way. She qualified for 2018 Worlds with Broesler School yet again. Leading up to March, Donovan said she’s logging between 10 and 15 hours a week practicing. She said it’s difficult finding the time to dance while also taking a full course load. Her dancing has become much more individualized, and she has to keep herself motivated now that she’s far from home and her studio.